This Dark Parables: Queen of Sands review is brought to you by Big Fish Games. All opinions are our own. 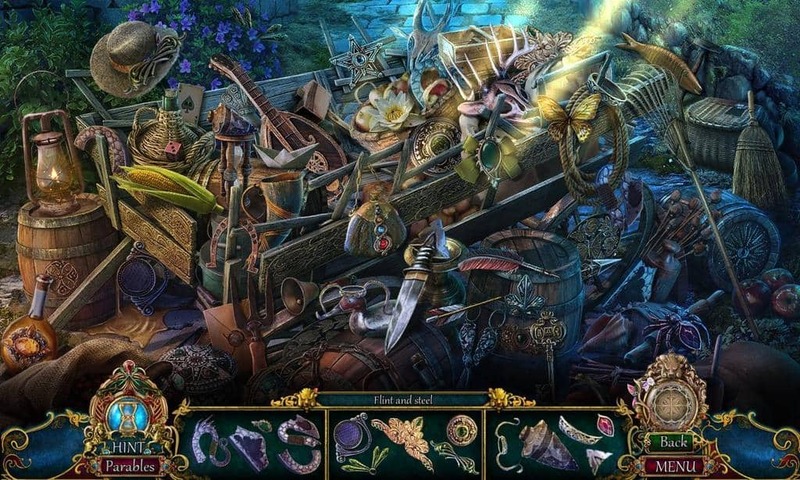 I’ve told you before how much I LOVE Big Fish Games, especially all their amazing hidden object games. One of my favorites, Dark Parables, explores the darker side of fairy tales. Honestly, fairy tales were always meant to be dark, so if you ask me, they’re exploring the real side of the stories, but that’s a whole different conversation. With eight successful games in the Dark Parables series under their belts, it makes sense that adventures of the Fairy Tale Detective would continue. With Dark Parables: Queen of Sands, it does just that! 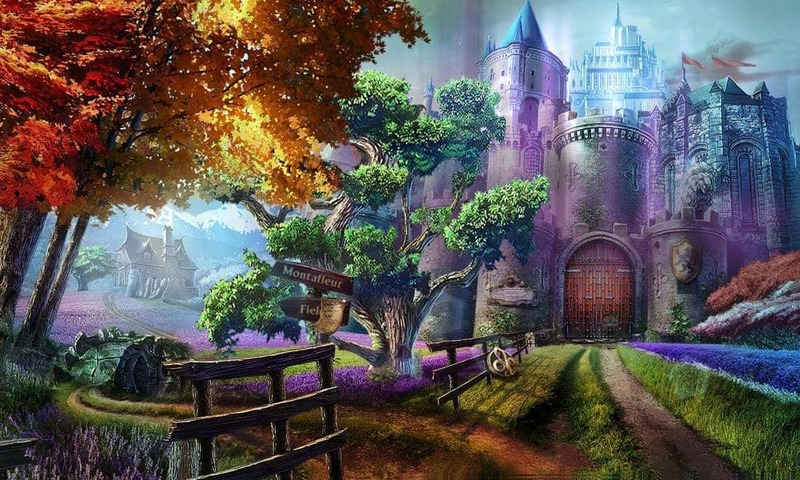 The 9th game in the series takes you- as the Fairy Tale Detective- on yet another magical, mystical hidden object adventure. This time, you’re called upon to investigate the strange happenings in Montafleur, France! It seems that nightmares are coming to life in the form of creepy creatures that vanish into a purple mist. Spooky, right? You’ll need to explore the village and play the hidden object scenes to collect the items necessary to complete puzzles and unlock the clues. Clues for what? Why, to solve the mystery behind the mayhem and madness, of course? I absolutely love when we do Big Fish game reviews here on OurFamilyWorld, because it means I get to play for work! Of course, I take that VERY seriously. I have to give you a good overview of the game, after all. I’ve been playing Big Fish games for like a zillion years. At least 12, because I know I had an account before my son was born. It never ceases to amaze me how they constantly come up with fresh stories for all their hottest series. Dark Parables: Queen of Sands is a good example. Nine games into the series and they’re still giving us an awesome experience with a brand-new story line. It’s very easy for hidden object series to get repetitive. Big Fish has several series and none of them suffer from this problem. The graphics in this game are absolutely stunning. Dark Parables: Queen of Sands Collectors Edition begins with a simple mission to get you started: find healing leaves to heal the wounds of your guide. I grabbed a screen shot for you, but keep in mind that there is a loss of quality when you use screen shots. Also, while I usually try to use my own screen shots for these reviews, I had a technical issue with the program I use for them, so the rest of the photos come from Big Fish Games. Stunning, right? The gaming environment really draws you in and makes you feel like you’re visiting a fairy tale village in France. All that detail comes in super handy during the hidden object scenes. The village of Montafleur is both beautiful and, at times, eerie. Of course it’s eerie, nightmares are coming to life! However, I wouldn’t call it crazy spooky. It’s not as dark a game as, say, the Mystery Case Files Dire Grove series. When you start the game, you can choose your difficulty level. I opt for casual because I like to relax and play. If you want a more difficult experience, go ahead and make it harder on yourself. Don’t say I didn’t warn you! In addition to hours of fun game play in a lush, spectacular world, the Dark Parables: Queen of Sands Collectors Edition also has some other goodies that you can unlock. Find hidden collectibles to earn achievements, unlock more Dark Parables to read and discover the bonus chapter featuring the Parable of the Seven Ravens. It also includes an in-depth Strategy Guide in case you get stuck and need some extra help. Plus, explore the Art Gallery, listen to the Soundtrack and more. As expected, Big Fish put out yet another incredibly entertaining and beautiful game that will definitely keep me up late over the next few nights playing! Thankfully, I’m off on Monday! 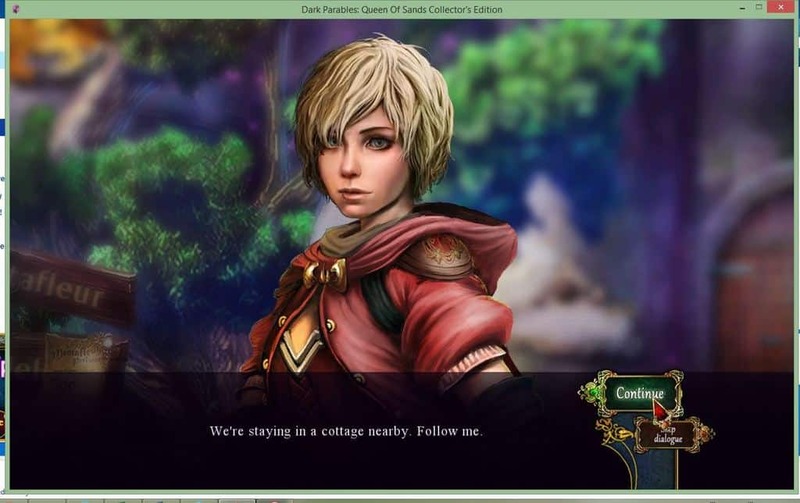 Dark Parables: Queen of Sands is available now for PC and Mac. It will release on IOS and Android devices later this summer. Grab it for $13.99, or 2 credits for Big Fish Game Club members. Not a member? Sign up now and you can get the game for $5.99! Don’t forge to follow them on Facebook, Twitter and Pinterest. 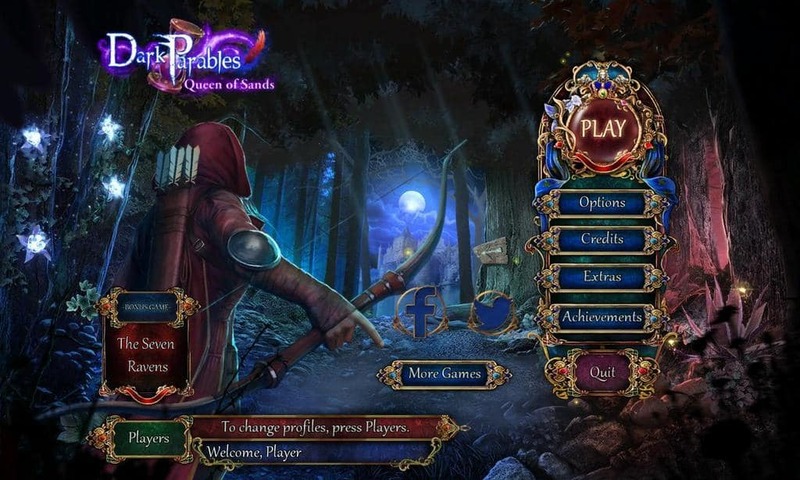 Have you played any of the Dark Parables games before? Which is your favorite? Tell us in the comments! 16 and Pregnant: What Are My Options? Very cool game! Will share with others. What a cool game. I like games where I have to complete missions. I’m sure I will be addicted to this game. This looks like a great game to consider playing. I believe it would be addictive. How cool! I love the bright and fun graphics of this one. I will definitely be checking it out. Thanks for sharing! Interesting game for children teens although I do not play much I know a lot of kids who do and will share. Looks like an interesting game! I think I’m gonna like this game. Wow! The animation is crazy cool! I haven’t played games like this in years, but this looks so intriguing! I haven’t tried any of the big fish games, but I bet they are a lot of fun. My husband might like to play around with this one! This looks like a great game. My son would love it. I will have to show him this review. This looks like a fun game. I will have to give it a try. I love to relax and play some games. This sounds like something I would enjoy! It;s been a while since I’ve played a good rpg – I’ll check it out! This game looks really cool I think my kids would really enjoy this. I don’t play any games because it gives me migraine. I used to try playing it until my migraine is so severe. Dark Parables looks like a really fun game! Big Fish always comes out with great games, so I’m not surprised that this one is just as good as the others. That looks like a fun game. 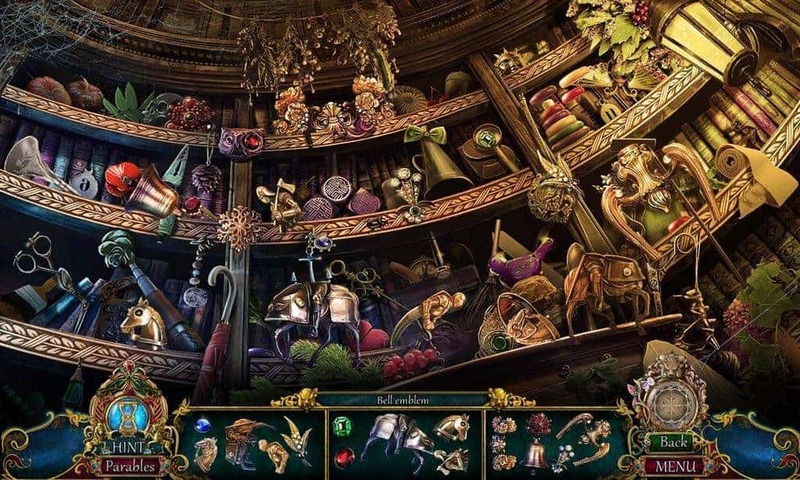 I have played a few hidden object games a while ago. These days I just never seem to have time to play games. I would rather relax and read instead. Those really are some nice graphics. They almost look like watercolors! I love Hidden Object games like these. I love the graphics in this one. It does make the scenes seem more realistic. Sounds like a great game. Looks pretty neat too! I don’t play many games but this one looks interesting! Looks like a great game, I always liked those kinds of adventure games! Big Fish has made some really great ones as well. My son is a gamer, so I’ll ask him if he has played this one. I’m too uncoordinated to play. Everyone laughs at me when I try to play. I like Big Fish adventure games too. Their Dark Parables series is really cool! I like the twists on the classic tales. It is amazing what they can do with video games now. It seems like only yesterday I was playing Super Mario Bros on Nintendo. This looks like a great game. This looks like a great game! 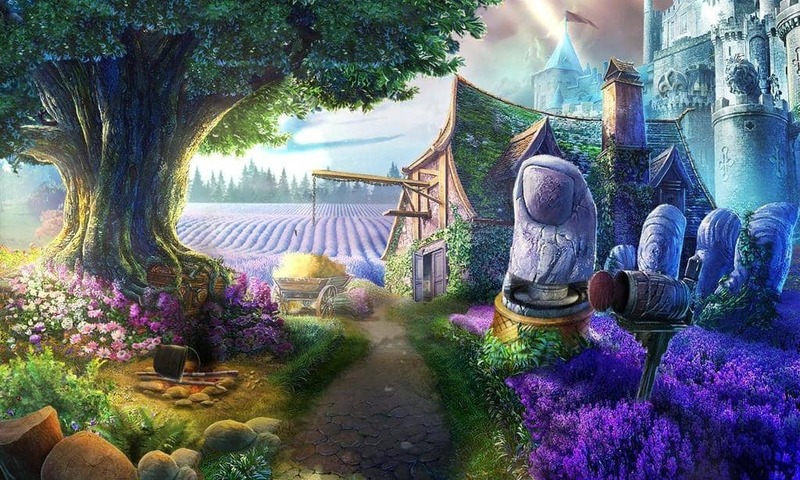 I love hidden object games, especially when they have a good story to keep me involved. That sounds like a really fun game! I could so see myself getting addicted to it.